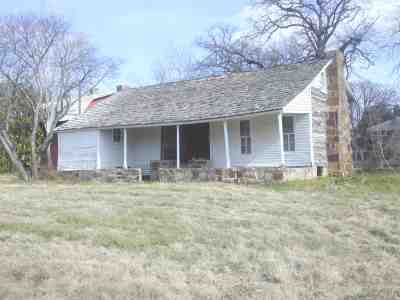 The Choate Cabin as it stands today. It was built in 1867 by George Washington Choate. It's original location was at Choate Prairie. 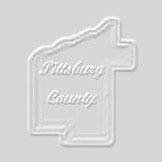 The current owner is Mr. Roy Bynum of Indianola. Mr. Bynum bought the cabin in the 1960's and had it moved to it's present location, in Indianola. The cabin has been restored by Mr. Bynum, and is full of historical memorabilia. The photos on the next few pages are compliments of Mr. William Blanchard. I want to thank Mr. Roy Bynum for allowing Mr. Blanchard the privilege to photograph the old home and for sharing this bit of history with all of us. 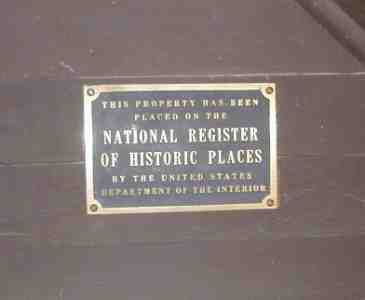 Note that it has been placed on the National Register of Historic Places. Please enjoy your visit to the next few pages. Just click the next button to go on to the next set of photos of the old home. Included within are more pictures of the home and of George Washington Choate and a few other family members.